You want a lot of dancing at your wedding. Most professional DJ companies assume that much – and most professional DJs should know how to make it happen. But there are some things we DON'T know 'til you tell us. And they aren't the things you think. 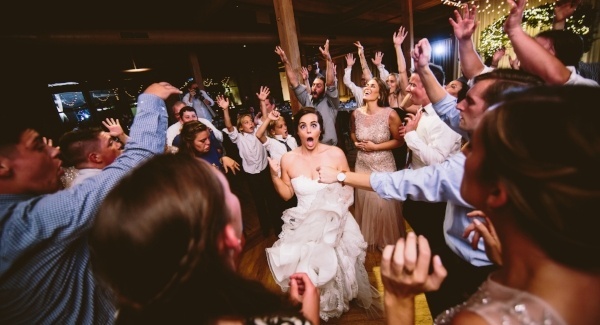 At Backthird Entertainment, we like to match you with a DJ who's a natural fit for the music you love and the way you want your dance party to go. All of our DJs are trained in ALL the skills it takes to make your party a success – but if your DJ happens to LOVE the kind of party you're throwing, working together will be that much easier for you. To match you with a DJ, your Account Manager will consider several factors. 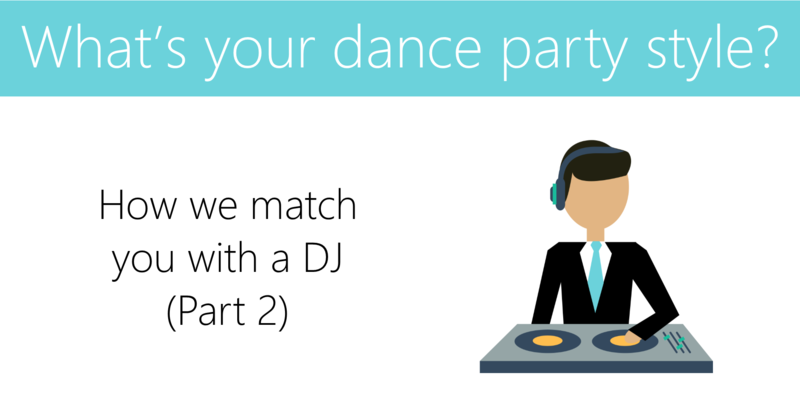 We already looked at your reception style, so now let's talk about how your dance-party style helps us match you with the right DJ. 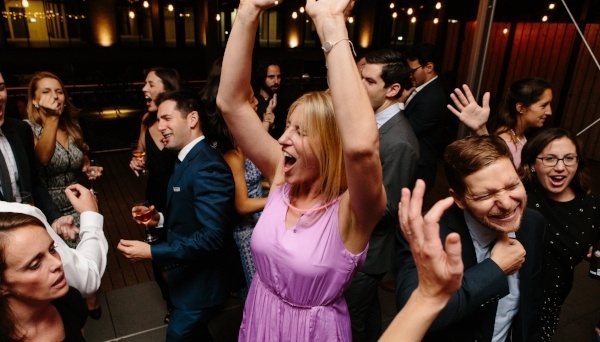 In Chicago, the last 3 hours of your wedding are typically all about the dance floor. During that time, your DJ is going to play a lot of songs you personally love. But unless you're the only one dancing, you're not the only one who needs to love the music. That's why it's not enough for your wedding DJ to know the kind of music you love! She also needs a sense of the kind of PARTY you want to create. Your dance party style can guide your DJ, even when the music is more geared toward your cousins or your grandparents than toward you and your friends. And that's why we try to match you with a DJ who naturally prefers the same kind of dance parties you do. So what's your dance-party style? Here are three questions you can ask yourself. The answers will give you a sense of how you want to work with your DJ – and that helps us, in turn, match you with a DJ who loves to work at parties just like yours. 1. "Can't miss" classics, or unusual song choices? There are some songs that are just guaranteed to get your party going - they're tried-and-true classics, and people love dancing to them because they're already so familiar to us all. For some couples, that's a good thing. If your DJ's no. 1 goal is to fill up the dance floor and play something for everybody, you might be a "can't-miss classics" kind of couple. By pulling heavily from hit lists like the Mobile Beat 200, a good DJ can keep your dance floor busy – even if it means hearing a few "guilty pleasures" along the way. For other couples, these "same old songs" are something to avoid – even if they work. If you want your DJ to stray a little further from the beaten path, play a few deep cuts and some unexpected surprises, then you're more of an "unusual song choice" couple. And that's fine too. 2. Highly customized playlist, or a highly responsive DJ? Sometimes, you've got to have it your way. Some couples really want to customize their wedding dance selections. When their DJ asks them for a request list, they're ready – with an armload of great music that they love and want to hear. They know it's not necessary, but they love the thought that so much music at their wedding will be hand-picked. And they need a DJ who is cool with giving them that level of control. For other couples, building that request list sounds like torture. They'd much rather tell the DJ, "you're the expert – play fun music that we'll love to dance to" and let that be that. I hope you're somewhere in between the two. Giving your DJ too much guidance is a bad idea – she won't be free to take requests from guests or make adjustments to the playlist if the dance floor slows down. And responding to the dance floor is what makes a DJ great to begin with! On the other hand, giving your DJ zero guidance isn't awesome either – your wedding needs to be personal, and we're not going to know that favorite high-school song you and your friends will love unless you tell us. Wherever you fall on the spectrum, knowing now that you want a lot of customization – or that you only want a little bit – will help your Account Manager to match you with a DJ who is used to working with couples just like you. 3. Is all music good music, or do certain genres matter more? No good wedding DJ's going to stick to just one style of music for your whole 6-hour party. But that doesn't mean that certain styles of music shouldn't matter more to you. Do you love country music? Do you HATE country music? Are you hoping to hear tons of club and hip-hop later in the evening? Or does your wedding have a '60s theme that would make modern music out of place? What are the songs you used to sing along to in high school? What do you sing along to in the car today? Do you want your dance floor to seem trendy, or do you want to belt out guilty pleasure songs and get a little silly with your friends? 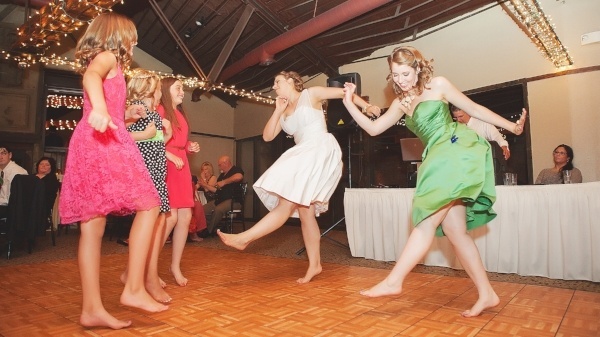 Do you love the idea of doing the Cupid Shuffle with your parents and your siblings? Or does the thought of that make you feel empty inside? You don't have to have answers to ANY of the above when you book your DJ. But if you DO feel strongly about certain genres, moods or styles – now is the right time to bring it up. Your Account Manager will know which DJs are especially good at country music, and which love – or loathe – the guilty pleasures you and your friends want to sing along to. If your DJ is a pro, there won't be much he or she can't do with excellence – especially given your request list and the time to prepare. But when we match you with a DJ who's a natural fit for what you like, your DJ has even more FUN. And if your DJ's having fun, then so are you!